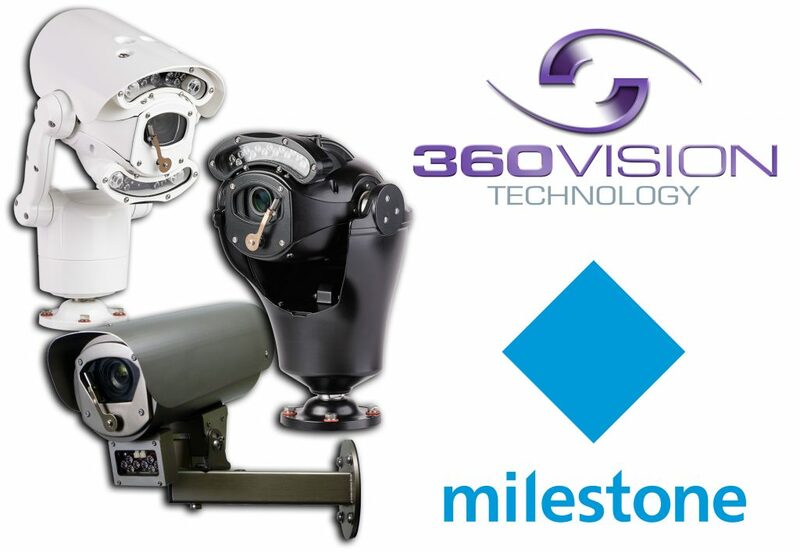 Enabling the entire 360 Vision Technology camera range to be simply and easily integrated with all Milestone Systems products, 360 Vision Technology, the leading UK CCTV design and manufacturing company, has partnered with Milestone to become a member of the Milestone Systems Camera Partner Program. The Milestone Camera Partner Program is designed to ensure that the leading device manufacturers in the industry can certify their products are supported by all Milestone VMS software, including XProtect®. Harnessing the advantage of the Milestone Camera Partner Program, integrators and end-users can mix hardware from different manufacturers in order to ensure the optimum functionality for any surveillance installation. Now, with the announcement of 360 Vision Technology joining the Milestone program, integrators and end-users are be free to specify any HD, thermal, radar, or stainless steel camera from the 360 Vision range – for safe inclusion within any Millstone controlled surveillance camera installation. Designed to deliver advanced situational awareness, identification and alert to activity within any surveillance application, 360 Vision’s range of high-performance cameras are available in a number of integrated technology options, and with integrated IR and white light LED illuminators, to deliver the perfect 24/7 imaging solution. Milestone’s VMS software is proven in more than 100,000 installations worldwide, and based on a true open platform, the Milestone Camera Partner Protection Program ensures the widest choice of cameras can be specified to create ‘best-in-class’ solutions.